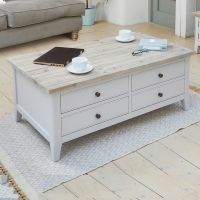 Simply designed and beautifully made with elegant cleans lines, this Signature Grey Large Coffee Table is just the thing for showing off your art books, placing a cup of coffee or keeping the TV remote controls close to hand. There are four handy drawers on one side and on the other, a hinged top which reveals hidden storage space beneath. 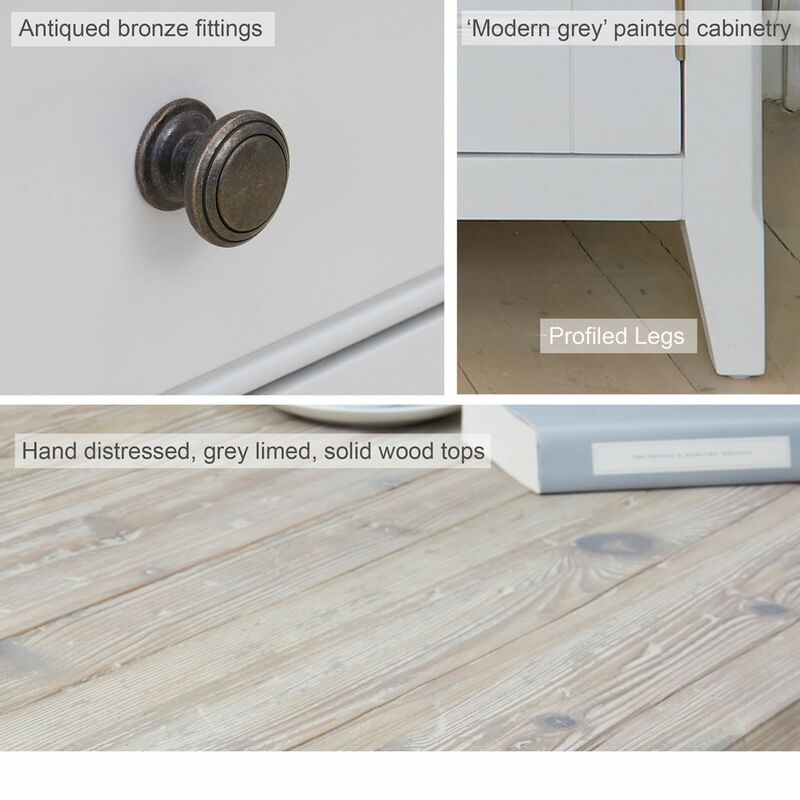 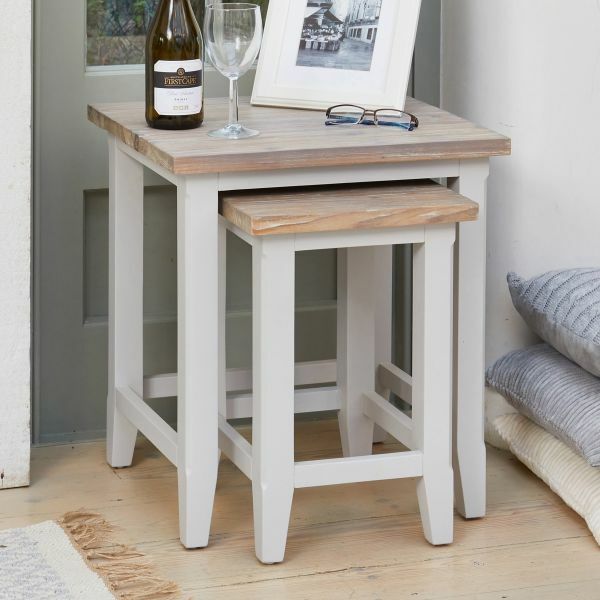 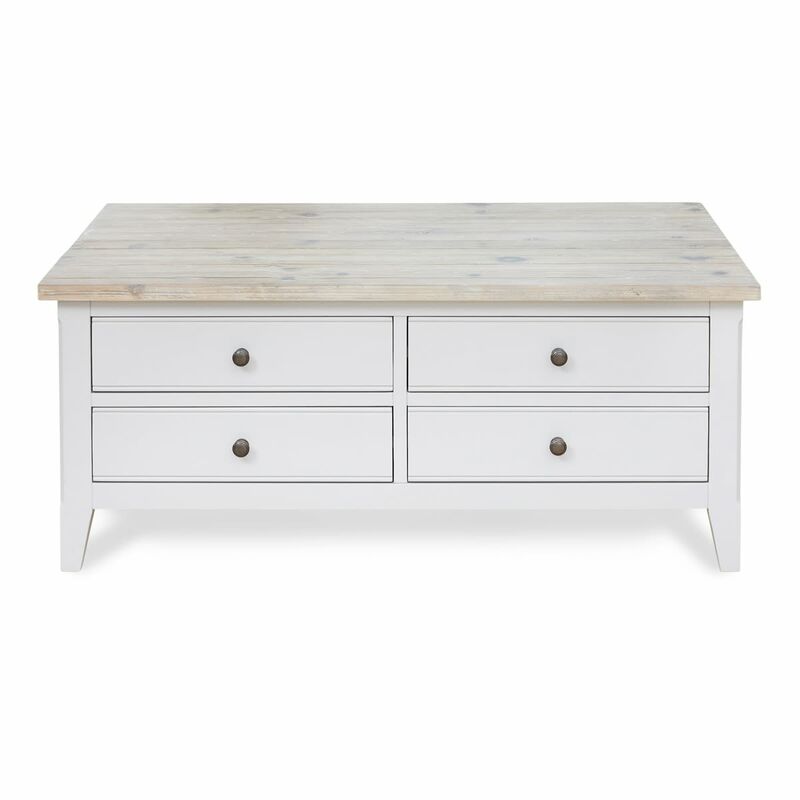 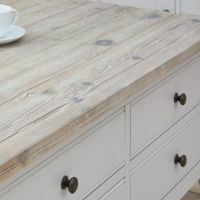 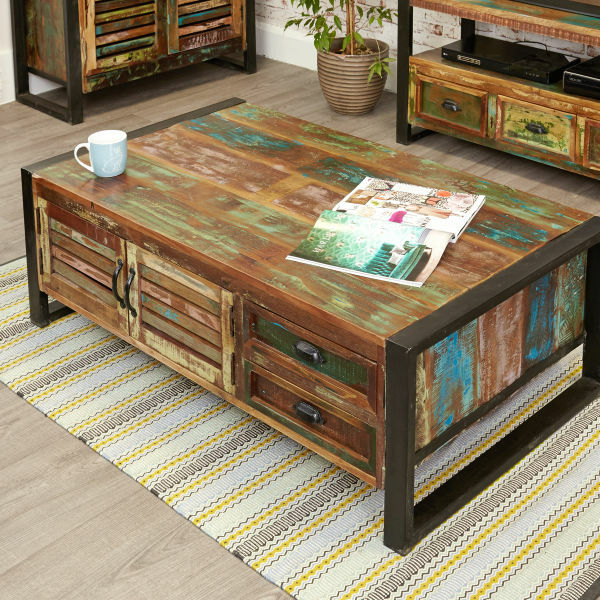 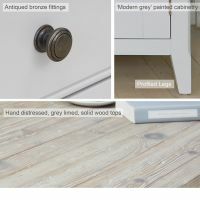 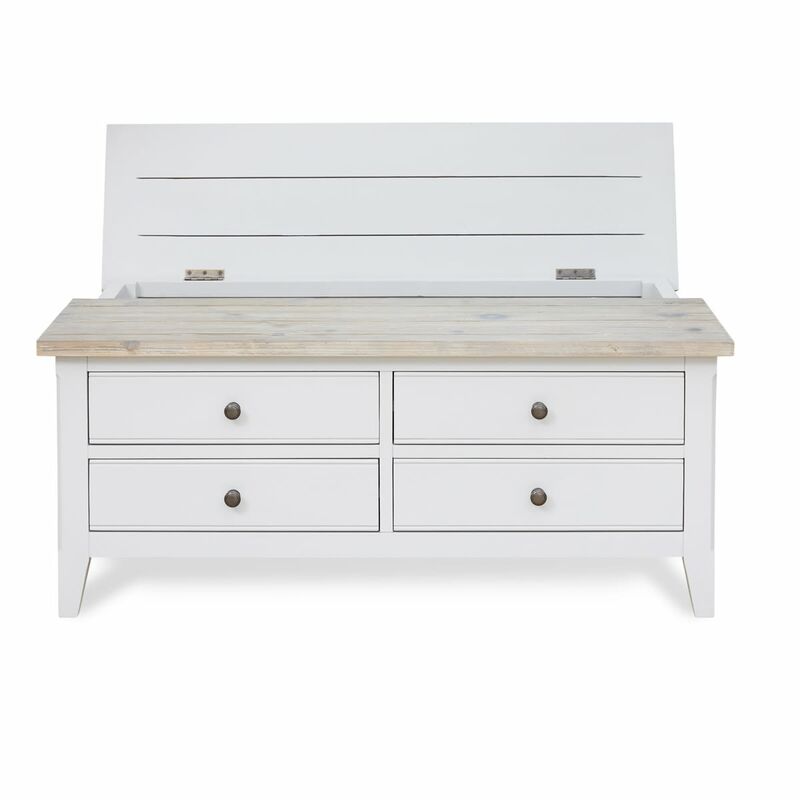 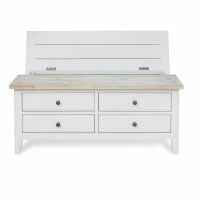 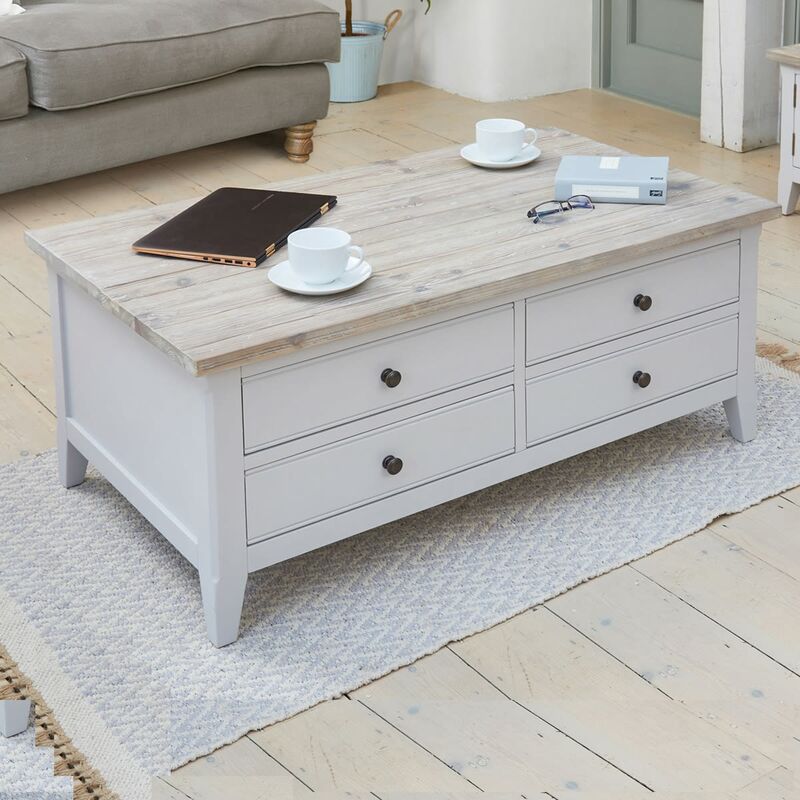 The coffee table has a distressed limed top which contrasts with the classic grey paint finish on the frame and the distressed bronze knobs on the drawers add an attractive finishing touch. 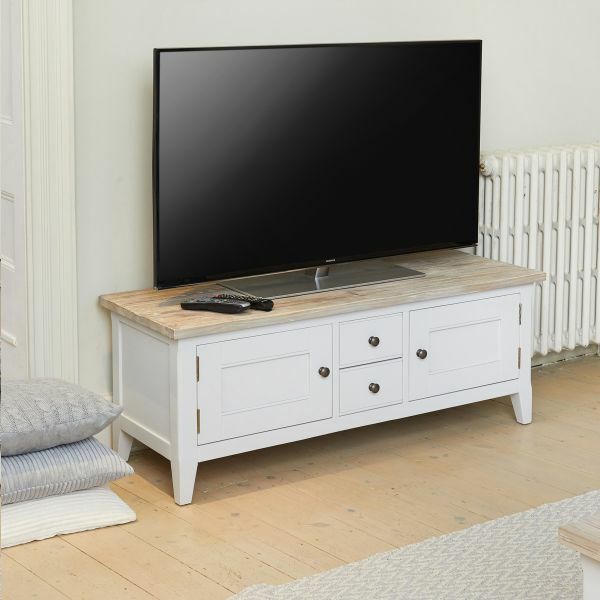 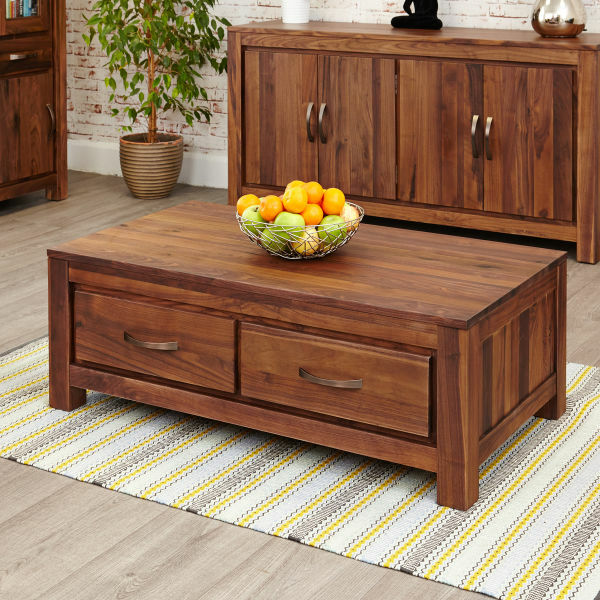 Crafted from solid wood throughout, this stunning large coffee table is solidly built, delivered fully assembled within five working days and comes with a five year manufacturer warranty. 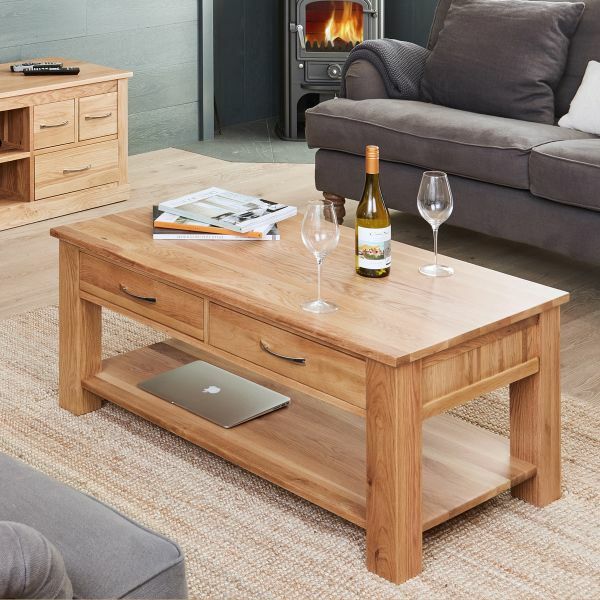 If you're looking for a stylish alternative, why not consider our best selling Mobel Oak four drawer coffee table?